If you thought HPC solutions are only useful for research or academia, think again! 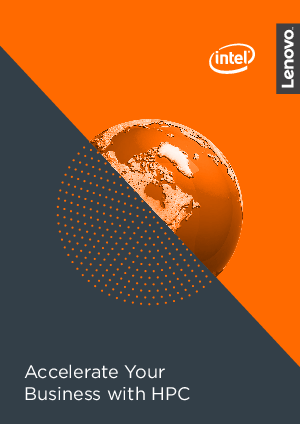 Lenovo HPC solutions, powered by Intel® technology, can be specifically built and optimized for your business needs. They can help to accelerate innovation, whether it’s precisely modelling a new drug, driving simulations to improve manufacturing, improving the efficiency and success rate of explorations, achieving greater manufacturing efficiency, or gaining new insights into IoT data. This best-practice guide will help you evaluate and consider the best approach to adopt HPC for your business needs, as well as the solution components to be considered in its implementation.